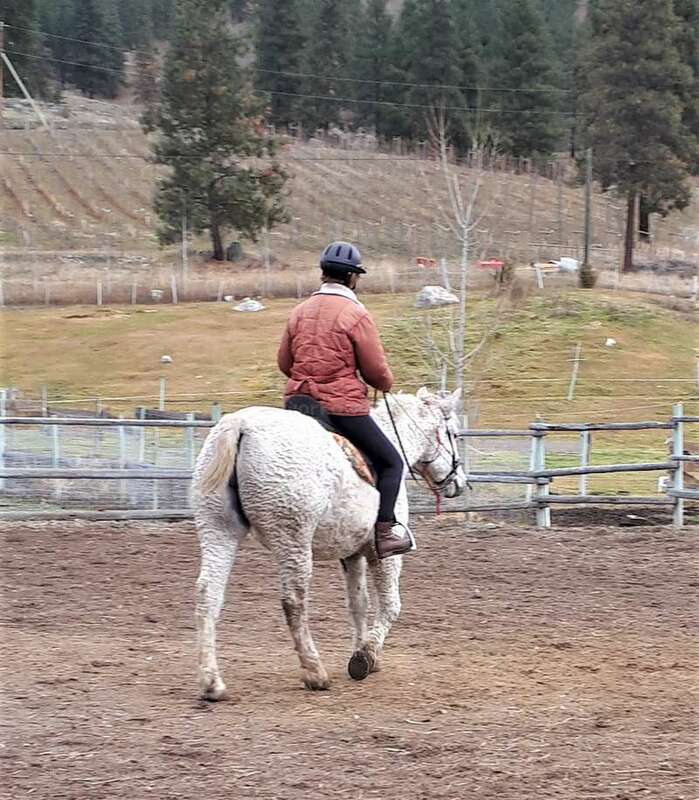 We are a hypoallergenic Curly horse farm, but we are looking for a workawayer to stay with us to help us with daily chores around the house and garden and in exchange we will provide room and board and friendship. If you have horseback riding experience there may be a chance for you to ride and if you are keen to learn horsemanship skills there may be an opportunity for some learning there too. We have been hosting international travelers for many years now - we enjoy getting to know new people and learning about their countries and homes. We are looking for a workawayer to stay with us to help us with daily chores around the house and garden and in exchange we will provide room and board and friendship. We will provide your own room in our house - shared kitchen and bathrooms. Summerland is on the shore of the Okanagan Lake. The area is filled with orchards and vineyards, beautiful mountains and valleys. It is a perfect place to be in the nature - you get lots of chances to enjoy our area parks with hiking, cycling, wildlife viewing and many water activities in the summertime too. There is skiing nearby as well, we do not ski but would have ideas how to help you get out there. Shelly's and Warren's place is simply great! 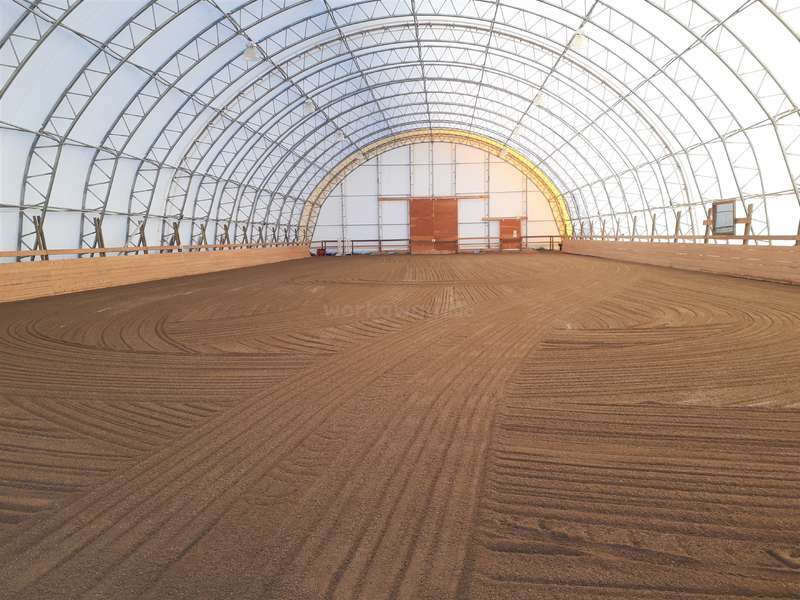 If you're willing to dig in and help with whatever kind of help is needed (from building hay sheds to fixing fence lines) and want to learn a lot about horse care and training, this is the perfect place for you! I spend four months there and can say, that EVERYBODY is very nice and makes you feel… read more welcome. Shelly's got a big very friendly family and if you're there over Thanksgiving or Christmas you might meet all of them. I did and they made me feel like I belong to the family! Shelly and Warren never got annoyed of me asking questions whether it was about how to do chores or why she's training a horse in a specific way. 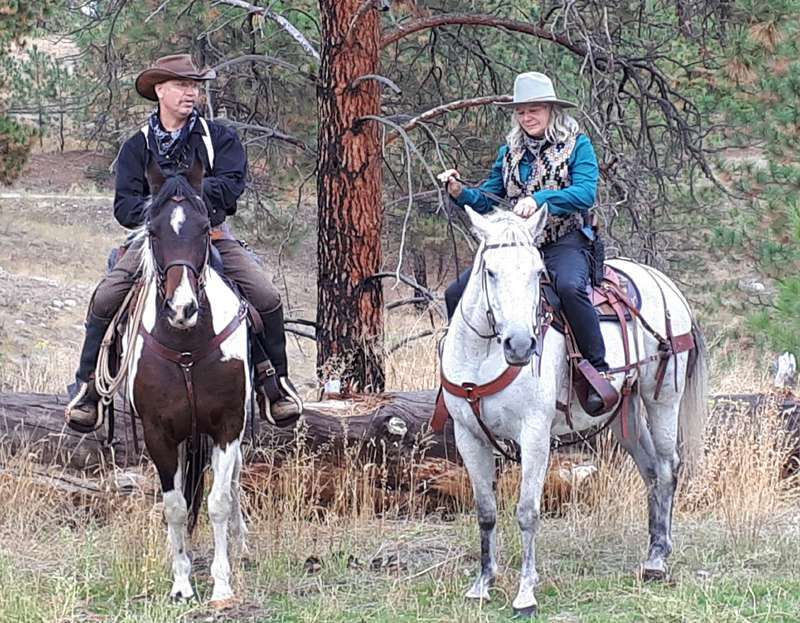 Being there for as long as I was, I really had the possibility to understand some parts of Shelly's awesome natural horsemanship training method and to see the difference it made in the horses she trained. Also I got to ride at least every second day learning a lot while doing that especially as some of Shelly's aids are very different from what I used before, as she's doing dressage, while I'm from a western background. All in all I really enjoyed my stay there! Please say Hi to all the borders for me - the boots from Tanja are perfect in the cold winter up here in PG - and thanks to Linda for taking me out on all the nice trail rides! And a big thanks to you Shelly and Warren for all the things you did for me! Marleen was an excellent helper around our farm. And, even though she arrived with an injured ankle, she pitched in and as she got better she did more and more to help. I would recommend her to any workaway situation - she is lovely to have around! Emma stayed with us the summer of 2018 for about a month or so. This was during a difficult time for us as we had some wildfires in our province which made for a lot of smoke and so the weather wasn't the greatest.... But... Emma was an absolute ray of sunshine! She was bright and helpful and always energetic and enthused with whatever projects we… read more were doing that day. 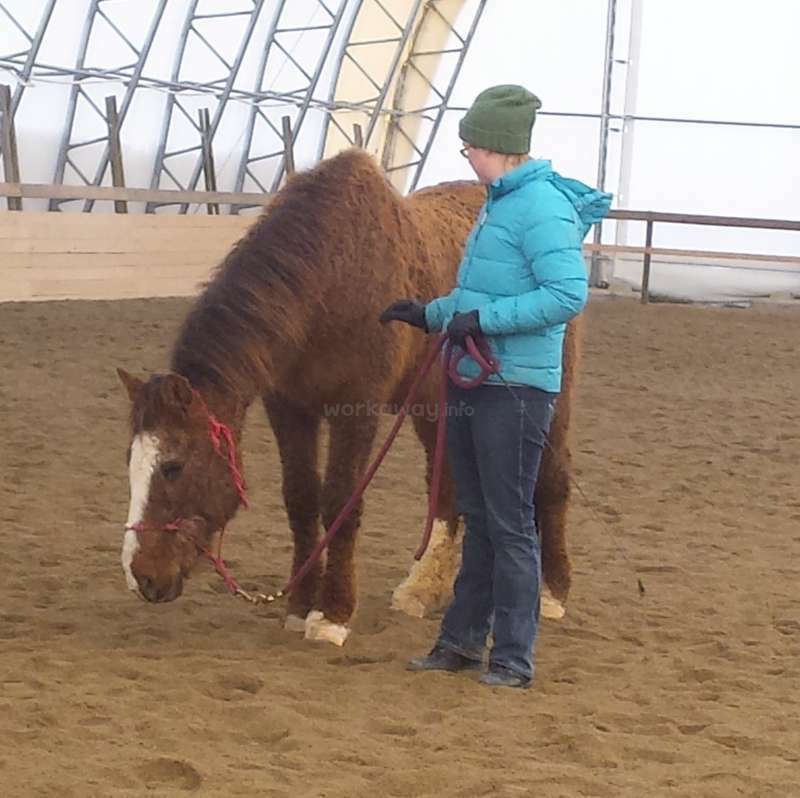 Emma has significant experience with horses and it was extremely helpful to have someone with such knowledge. I would recommend Emma to anyone looking for a workawayer - she is just a delight. We would welcome her back to our place any time! In the moring you feed the horses and clean out the pens which you begin with at 8am. When you are three workaways you can be done within approximately two hours. If you are on your own, which I was for a week, the morning routine takes until 12:30pm. At 6pm in the evening you feed the horses again. You will be done before 9pm. These are the… read more core chores that need doing every day. It is up to you what you do during the afternoon. I went on a hike with other workaways or we took the car to go grocery shopping. Nevertheless there are a lot of opportunities to get involved in working around the farm and in a way you are expected to do so throughout the afternoon. I helped digging trenches for the irrigation, spreading manure on the pastures, cleaning out the barn, weeding and laying down mouldy hay, fencing and doing general maintenance work. So you can work all day, which is what I did most of the time, except for when I was the only workaway. Of course the horses need to be fed 7 days a week. If you want to take a day or two off, you need to let Shelly know in advance, so she can arrange doing the chores, or you simply tell your fellow workaways. Anyway I didn't take days off during my stay. On the "Welcome Paper", which you get upon arrival it states that "A full effort from you will result in more back from us (Shelly and Warren) - and you may be given a horse to ride every day, but consider this and any lesson we give you to be extra, which needs to be earned." Throughout the 6 weeks that I stayed I got to ride 7 times. The other workaways and I were also responsible for cooking dinner and cleaning up almost every night. Warren is a cook, when he cooks his meals are a nice treat. Warren also taught me how to shoot. He and Shelly took me to some events around town like the Bull-a-Rama or the Speedway. 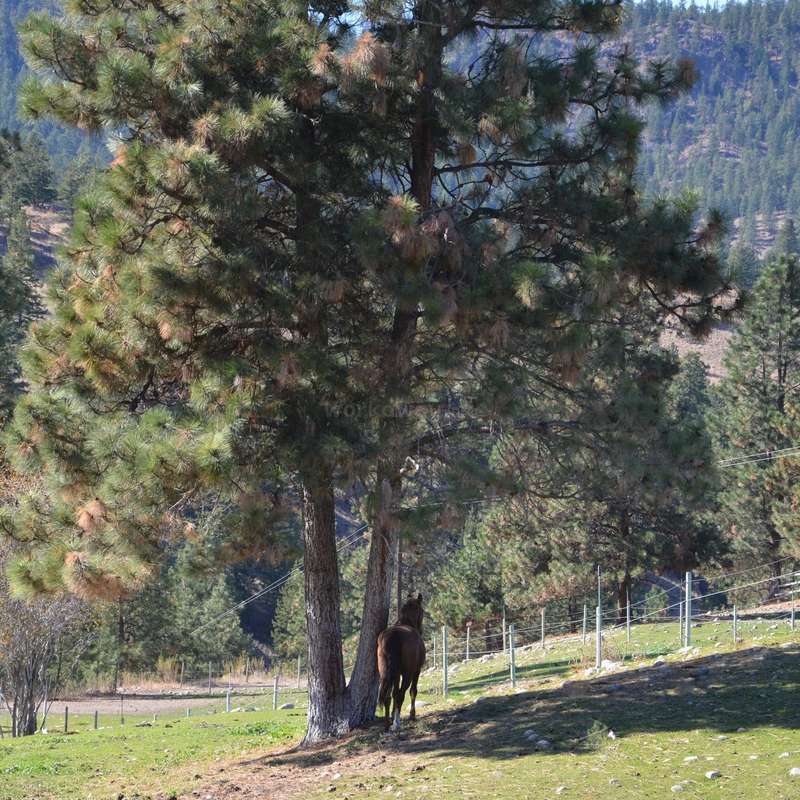 Shelly also took me up to Enderby to pick up the feed, so I could see more of the beautiful landscape of BC. They were quite generous and paid for my dinner, almost every time we went out to eat. Of course that was not expected. On a horse ranch there is always a lot of work to do. Like everyone else Shelly had some stressful days, where you rather kept to yourself. This comes with work or as Shelly once told me "It's not work. It's a lifestyle." But especially a lifestyle can be demanding for everyone. Lea is an excellent workaway who I would recommend to other hosts. She is very friendly and easy going and willing to pitch in and help wherever it is needed. We hope she can come back some day. Upon arrival we we’re presented with a printed hand out that said extra hours were expected each day if we wanted to horse ride, and days off seemed discouraged (if you wanted to get horse rides). The core chores could tip us over the hours stated on the website anyhow. We found ourselves cooking and cleaning up afterwards for everyone most… read more nights. Also the host seemed very stressed and we found ourselves on the receiving end which became demotivating. Unfortunately we couldn’t go along with these conditions anymore, so had to leave, but wish them success for the future. We are very experienced workaway hosts with many, many happy folks staying with us from all over the world. This workaway left without notice when we were gone for the afternoon. She claimed there was more work than she expected. She never spoke to us about this, in fact was happily chatting with us the evening before and then left with only a… read more note. Very poor experience for us. Too bad as we thought we were all getting along well. Meghan is an excellent workaway with a great sense of humour and we very much enjoyed having her here at our farm. She was great with the animals and we miss her! Hope you can come back some day, Meghan! I spent more than a month with Shelly, Warren and Lennart (an other worker) in March/April. I learnt a lot with Shelly and Lorraine about horses. I never worked with horses before and It was so interesting to learn so many things. I miss them so much! Especially… read more Hudson!! The chores are : preparing special foods for some horses, feeding them (just as the cat and dogs), adding pales of hay in the feeders (with the tractor), cleaning the pens. You can also cook and clean the house if you don’t have a lot to do with horses. Lennart and I divided the chores and during our free time, we could hike or ride. Shelly and Warren are very nice, they made me a nice bday party. Take care and tell Warren that I didn’t forget him for his flag ;) I will do it! Christine is an excellent workawayer! She is very fun and yet can be very serious about getting tasks completed! She is very organizxd and also a good rider, we really enjoyed having her stay with us at our farm. Hope you can come back some day, Christine! Kim was an excellent workaway - she was always willing to pitch in and help on the farm. She was very organized and efficient worker. Kim is happy and easy to have around she is also a very good rider. Kim is a vegan and is a very good vegan cook - really enjoyed her culinary creations! Mari-Liis was a great help to us around the farm, always willing to pitch in and help with chores. She is also a very good cook - recommend having Lii as a workaway! We are very experienced workaway hosts having had folks from all over the world stay with us and have a great experiences. This workaway is a very young 18 years of age with little work experience she thought there was too much work to do here. I had a great time staying with Shelly and Warren for 3 month. I enjoyed being outdoors doing the daily chores, especially with Amanda, Lea and Meghan (other workawayers). 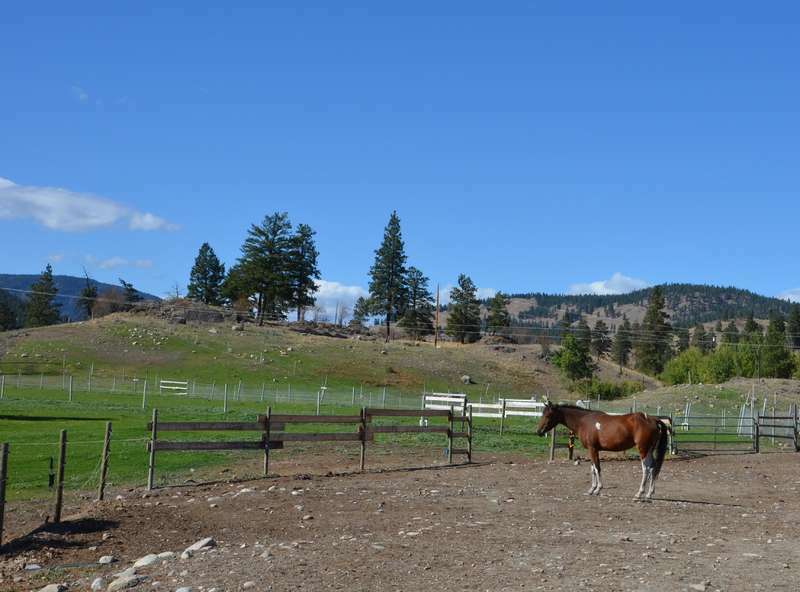 I learned a lot about horses in general, how to handle them and with no previous horse riding experience I am proud to say that after my time at this farm I am decent at riding… read more ( all thanks to Shelly and Lorraine). And I am really glad and thankful that I got to go on a trail ride with Lorraine and Linda in the end. Shelly is a great teacher and knows A LOT about horses. 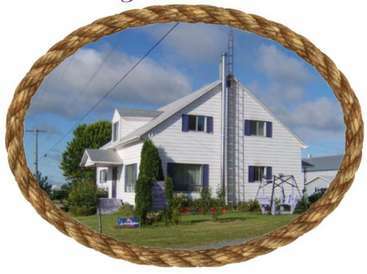 Everyone on this farm is very nice and welcoming and it has a nice community feel to it. 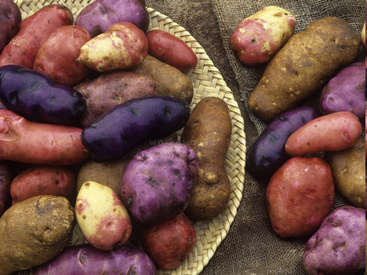 Both Shelly and Warren have a great sence of humour and Warren is a good cook and singer as well. Besides the chores on the farm and the riding lessons I still had quite a bit of free time which I e.g. spent with the other workawayers or hiking. Shelly and Warren also offered lots of opportunities to get off the farm, we for example went to karaoke nights, public ice skating in Summerland and Shellys son Steven gave me a ride to Apex Mountain ski resort. I already miss the good times I had with you, the horses and the dogs. Thank you so much! I completely forgot to leave a feedback! Shame on me. I don't have much to say about my experience other than it was AWESOME! I had an amazing time with Shelly, Warren and Franzi (the other workaway). It was great to work with the horses everyday. Shelly and Warren are so nice. Even if it wasn't my house, I felt at home with them. The workload… read more wasn't too much. Some days were longer than others, but it was fun anyway. Shelly is very good with the horses and gives you great advice to improve yourself. The horses are very well trained too and I learned a lot during my stay. Warren was also very nice with me. We talked a lot. I will miss you all. I hope I will be able to come back soon! Shelly and Warren, I am extremly glad for having been on your place. I know that I made quite a lot of trouble for such a short period of time but I enjoyed every minute at your farm and would do it again! If I would have had more time, I would have loved to stay longer than only a little bit more than one week. Working together with Jo made it… read more even more worth - always having little talks while feeding the horses or simply resting and just watching the beautiful horses. 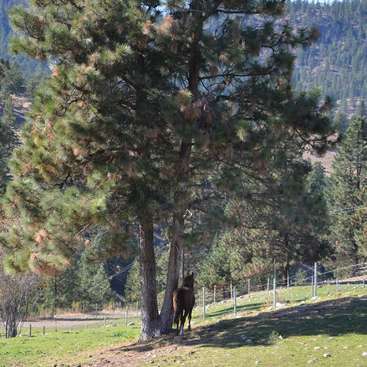 I enjoyed riding out with her on Quever and having that amazing view on the Okanagan! 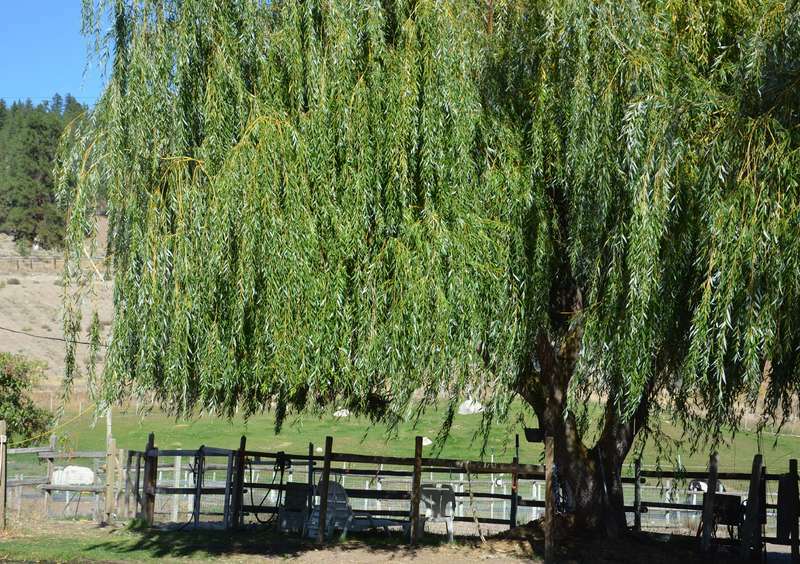 This place is something for horse lovers as well as for very independent people who like to stucture their days on their own. Shelly and Warren were amazing host and I can not say it often enough: Thank you for making it possible for me to go to the rockies and after that come back and have a place to stay for my last days in the West of Canada. Jo was a wonderful addition to our farm "family" she pitched in and helped wherever necessary and was fun and entertaining company on our many rides out together! Jo - I will send you some pictures of the curls at they get more noticeable! Enjoy your time in Victoria. I stayed with Shelly and her family for 3 months over summer. They immediately welcomed me into the family and invited me out on activities. My absolute favorite was joining their wild west gang and going train robbing!! Also stoked that Danielle convinced me to go barn dancing! The farm has a really lovely community feel to it, with everyone… read more helping each other out and going for rides. Everyone was so friendly and happy to answer my myriad of questions. Shelly is a fount of knowledge and happy to share what she knows. And there are definitely a lot of opportunities for riding. My work was mainly the daily horse chores which meant lots of horse time! Then I helped with various other work around the farm. I learnt a lot of new skills and feel very proud of how narrow a space I can fit a tractor through! I had a wonderful time and would recommend Shelly as a host. I'm just disappointed I didn't get to see the horses with their curly winter coats. I miss them!! Awww Hannah - you are sadly missed here - it was truly like having another daughter here - you were such a part of the family! Very funny about Steven's and my conversations - we kept you amused eh? Danielle misses you most of all though - what a great friendship you two struck up - I hope it can continue through new adventures. Safe travels my… read more friend and make sure you come back! I'm really bad at giving professional feedback, especially since this was a pretty personal experience. This was also my very first workaway, so of course it was nerve wracking as well. Which turned out to be clearly unnecessary though, it was awesome and I loved every second of my stay there. 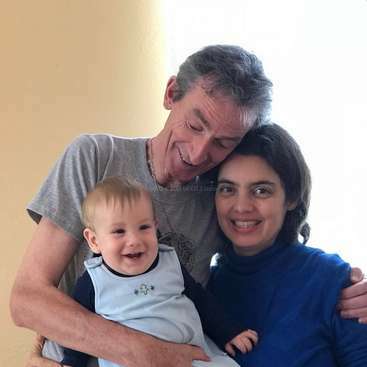 Shelly and Warren are amazing people, the whole family… read more is to be honest and every other person you'll meet on the farm is just as lovely. I hope whoever gets to spend time with this great family is able to catch a glimpse of Stevens and Shellys breakfast conversations or Warrens performance at the karaoke bar, pure bliss! I also loved to be around the horses and I learned all sorts of things about them and farm life. All of them are hard working people and I appreciate/admire them so much for what they do everyday, no matter what. Thank you so much for everything again, for keeping up with my clumsiness, being my home away from home and letting me be a part of your family for this time. I had so much fun and I'm very grateful for all the opportunities you gave me. I was really sad when I had to leave, but I hope we will see each other again! Since that turned out to be a love letter, I'd like to give special thanks to your daughter Danielle, for showing me around, tolerating my bad jokes and finding amusement in my ability of not being able to close a car door properly. Denise stayed with us for a couple of months over the winter of 2017 and she was such a great help through a very cold winter! Always cheerful and willing to help, always offering to do more - Denise was a picture perfect workaway! She is welcome and invited back any time so we can enjoy more of her company another time. 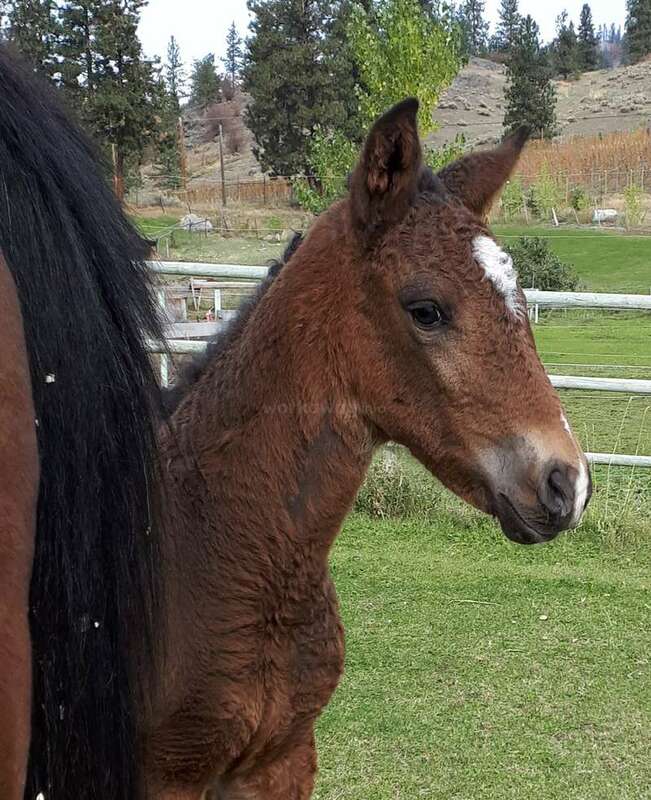 She fed all our horses… read more (30), helped me with training/riding our young horses, ran a tractor, brought wood in for the fire every day, etc., etc., she was always looking for ways to be helpful - very much recommend Denise! Thank you so so much for everything Shelly! Michaela was a great help to us - always super happy and fun to have around. She had a friend come and stay with us for a week too - and he was also very fun and a BIG help, especially with the woodpile! Recommend both Michaela and Valarian! Thank you Shelly, Warren and Lauren, for my first Horse Ranch experience. I never had the chance to stay at a horse place before. Your place is beautiful, i really enjoyed the time. Also driving with you through the okanagan, was very cool, i wished, i was with warren one day in his truck. The work was super nice. 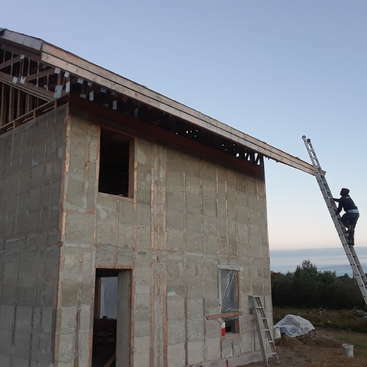 I loved to do carpenter jobs.… read more Maybe i will collect some riding skills, and one day i will come back, to learn more about horses, your place is made for that! It was an amazing Oktober, thank you for everything! Well, I have a lot of praise for Max and his work ethic! He was a hard working, honest, likable workawayer that we would certainly welcome back to our farm anytime! Max is pleasant, fun, easy going and very positive. We sure got some stuff done when you were here fella! 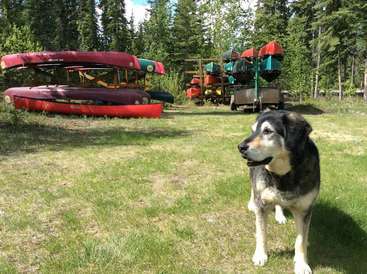 Good luck and have fun on the rest of your travels/stays in… read more Canada. We sure did enjoy having Debi at our farm and we were sorry to see her head home. She is a hard worker (very precise!) and even helped me a LOT with an irrigation project that I had to do in the very hot month of August she was here! We would welcome Debi back anytime and would certainly recommend her to anyone considering her as a future… read more workawayer! It was my first workaway experience, and I couldn’t have it any better!! I`m so so glad for the time I spent there. I stayed for a whole month (august), but I could definitely stay a lot longer. I was very sad when I had to leave. First, because Shelly and Warren make you feel at home and always look if youre comfortable! They have a great… read more sense of humor and interesting life experiences to share. The area is beautiful, there’s a lot to see and do (f.e drive in cinema, streetcar race, going to the beach, go see a hockey game while its 34 degrees outside :D, try vaulting). The work is not too hard, f.e. I looked after the horses (maybe 2 hours/day) and we did some projects once in a while (irrigation, or painting the arena wall, etc.). And the most important thing, you get (if you want) many riding opportunities!! 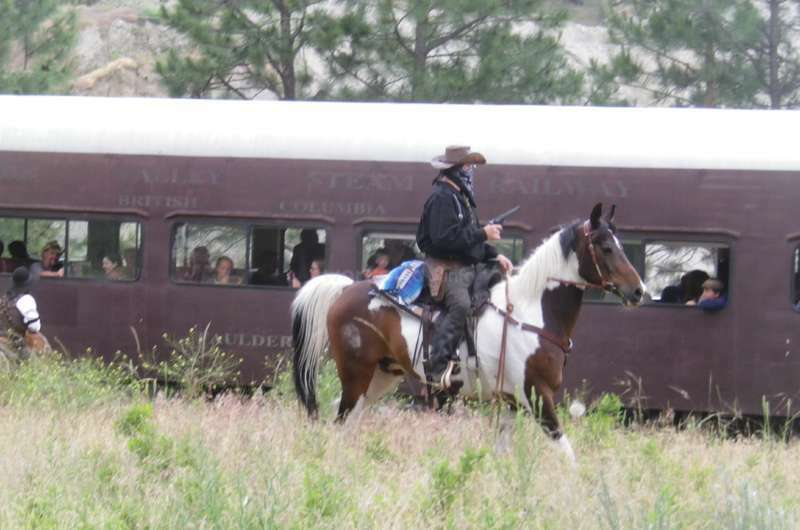 Especially the stunning trailrides I will remember forever. Shelly & Warren, THANKS for everything!! Steffie was a really big help to me with all of my horse chores, cleaning up my barn etc., but most especially I am grateful for all the help she gave me with my vaulting program! The kids and I sure enjoyed her sharing so much about the ins and outs, ups and downs of vaulting and with her help we are sure off to a good start! I hope you enjoyed… read more the rest of your stay in North America! Bianca was a great helper around our farm, she was easy to work with and pleasant to have in our home, plus she has a fun, British/German accent that I loved! Good luck and have fun on the rest of your travels Bianca! Gaelle is a happy person who is a lot of fun and a hard worker! We really enjoyed having her stay and work and play with us and she did do a lot of things around the farm for us. Gaelle is welcome back here anytime and we wish her nothing but the best in her future. I had such a great time at Shelly and Warren's place. They were both super kind and welcoming and made me feel right at home almost instantly. Shelly is a very skilled horse person and I learned lots about training horses from her in the relatively short time I was there. I rode daily and went for a ride up some breath taking trails the last day I… read more was there. I found the work kept me busy but was not too difficult and it was always enjoyable to work with Shelly because she's really fun to spend time with and talk with. The horses there are some of the loveliest horses I've met (so well trained, friendly, curious, and nice looking!) The surrounding area is gorgeous. 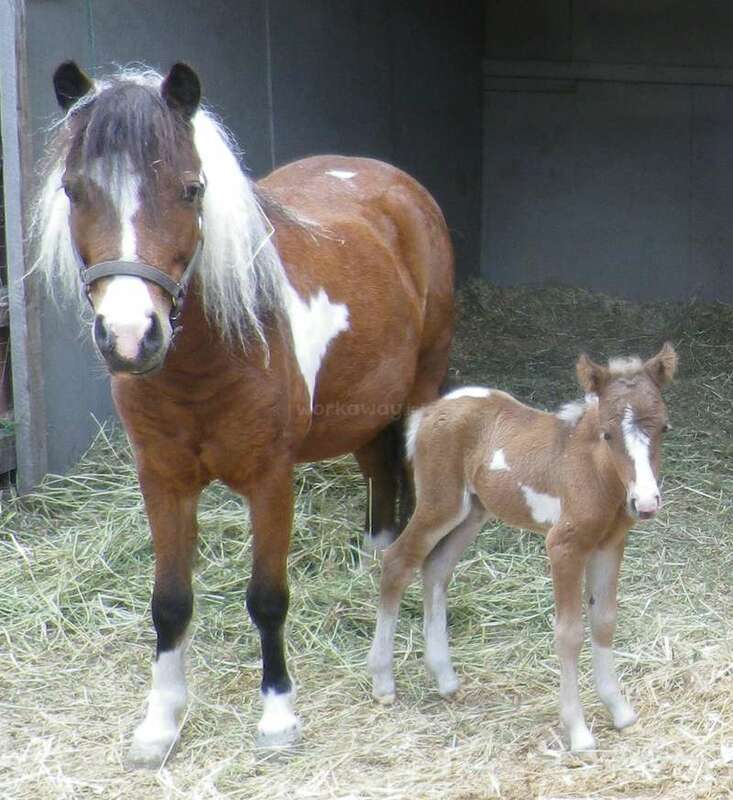 I highly recommend visiting, especially if you love and would like to learn more about horses. I miss this place! It really felt like a second home and a second family. Would definitely like to go back! Natsumi was only here for a short time, but I really think I made a friend in her! She is smart and funny and always cheerful - she was a big help around here. Natsumi is a good hand with the horses and she did a great job with *Serenade! And the kale - she has made me a fan and a believer in organic kale! I would welcome her back anytime and… read more recommend her highly. Karolin was a big help to us - always willing to help with any project I came up with! She also makes excellent pastry! We were so sorry when she broke her foot and had to return home and I hope she can come back someday and stay with us again! I really had a great time at Shellys place. There was always something to do like riding and training the horses, helping in the garden or painting the horse trailer. I felt welcomed there. The people were lovely, nice and friendly and everyone helped me when i broke my foot. I am going to miss your place. Thank you for everything. Johanna was so wonderful to have come and stay at our farm and she is the BEST helper ever. She made a huge impression on us - we consider her family now and we really hope she can come back some day. Staying with Shelly and her family was heaven on earth for me! 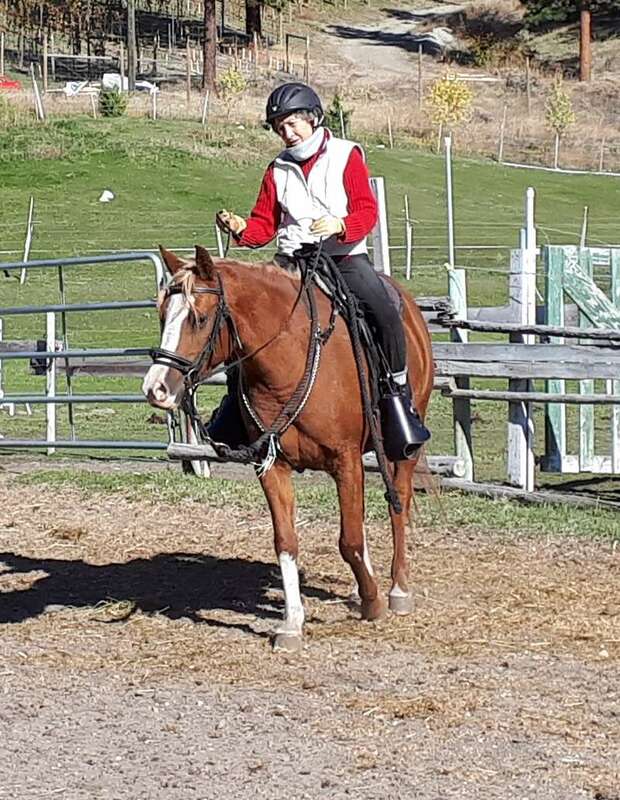 It was really the best thing I could do :) First of all Shelly is awesome - always makes sure you feel comfortable and that you don't work too much (:D) and she gives great riding lessons. 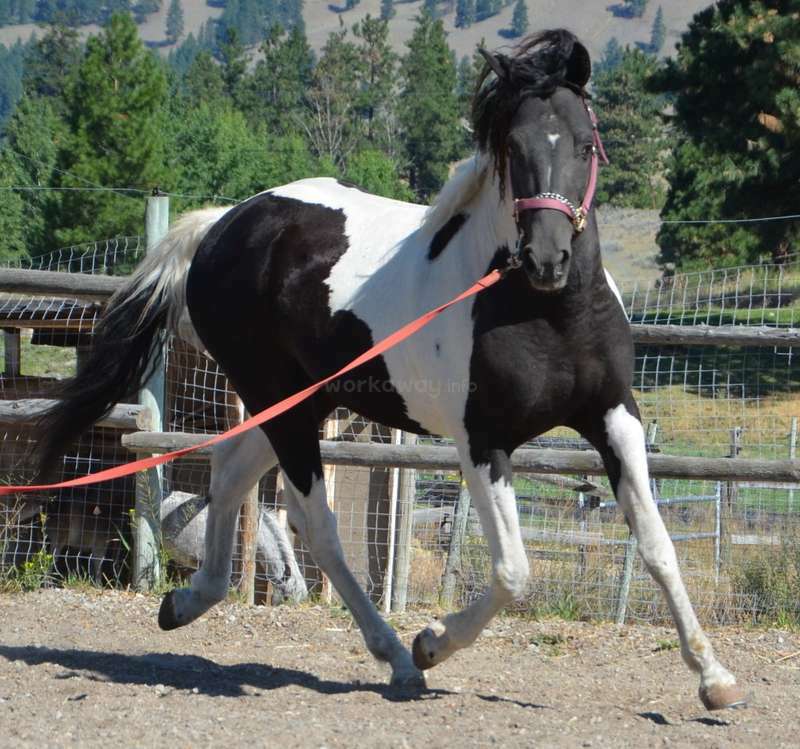 I helped with all kinds of horses and chores and at the same time learned a lot about… read more horsemanship and totally improved my riding! Especially when I was able to take part in a clinic with Ian Tipton during that time! That was a big highlight of course. But I enjoyed every day being around this amazing farm with all those nice horses, dogs and people around. I always felt very welcomed and in the end kind of part of the family and I was really sad to leave! I definetely have to come back one day :) Shelly & Warren - thank you SO much for everything! The time I spent with you was so great and I will never forget what I learned here :) I already miss you! We really enjoyed having you here as well - you were a huge help to us! Shelly and her family are very nice and welcoming. The help was exciting and I had some ride lessons, which were a lot of fun! I really recommend applying, especially when you want to experience the farm life and like horses!